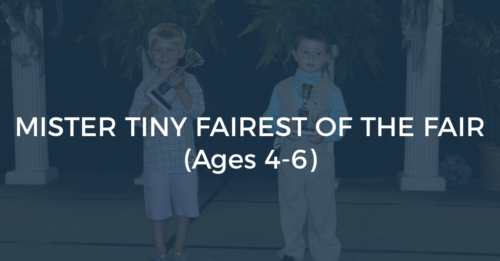 The Miss Tiny and Mister Tiny Fairest of the Fair Pageant (boys and girls ages 4-6) will be held inside the Smith County Ag Center at 6:00 p.m. on Wednesday, July 4, 2018. 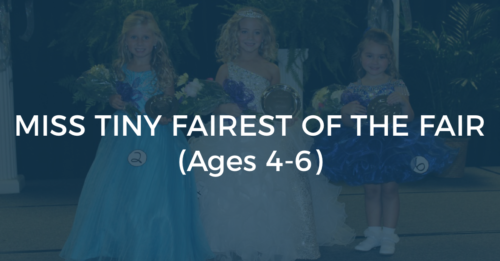 The date of the pageant will be the date to go by as you determine your child’s category. Pageant staff as the right to obtain proof of age. Female contestants must wear a dress that is suitable for church or a wedding, or they may wear a pageant dress. Male contestants must wear an outfit that is suitable for church or wedding. NO JEANS. NO sunglasses, hats, toys, props or flowers can be carried on stage. THIS IS NOT A GLITZ PAGEANT. 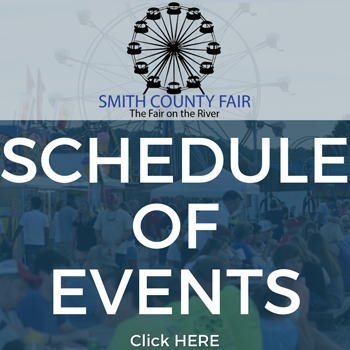 Contest, parent, and/or legal guardian must agree to abide by all pageant rules, regulations and must sign release form. Contestant can be escorted by an adult, but is not mandatory. We ask that the escorts be dressed appropriately. Judges will choose a Winner, First Runner Up, and Second Runner Up. Judges decisions are final. For more information, please contact Pageant Chairperson Jerri Lin Vaden Malone at jvaden@titlesearcher.com.